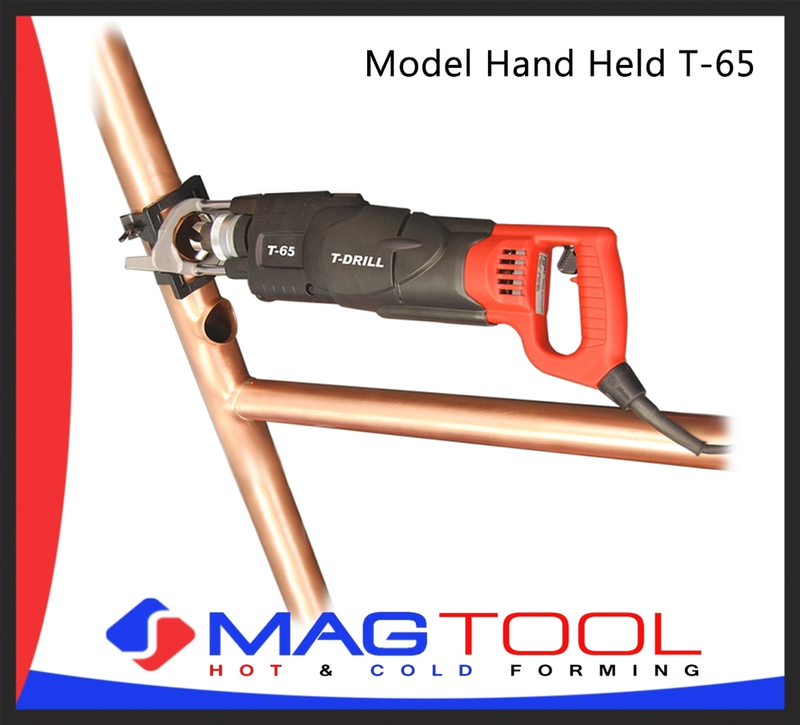 The Heavy Duty T-DRILL T-65 is a privileged member in the T-DRILL tool family of copper tubes. Having the capacity up to 2'' out of the run tubes up to 4''(with optional retrofit kit up to 6") will make you still more profitable and competitive. If a comparison is made between the installed cost of a tee fitting and T-DRILL joint you will see an improved profit that approaches 70%. This is documented in most any labor calculator in use.